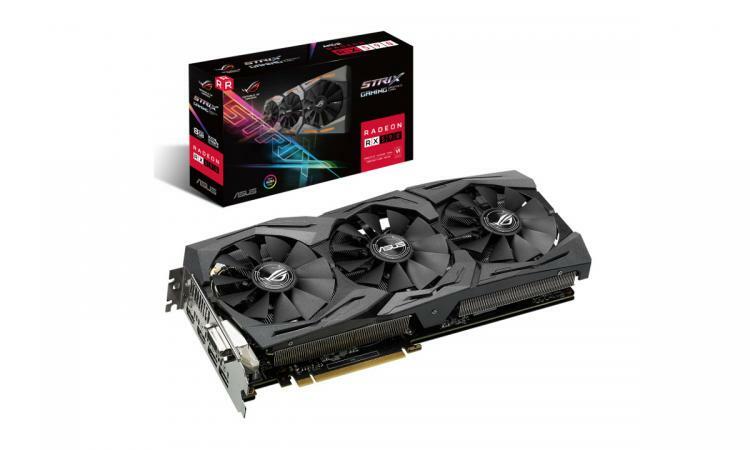 TAIPEI, Taiwan, November 15, 2018 — ASUS Republic of Gamers (ROG) today announced ROG Strix Radeon™ RX 590, an all-new gaming graphics card powered by the latest AMD Radeon RX 590 GPU and engineered with advanced cooling, industry-leading reliability, ultrafast performance, and customisable lighting. ROG Strix cards take cooling to the next level, keeping temperatures low and decibel levels quiet. It starts with MaxContact technology, which uses precision machining to create a heat-spreader surface that makes up to 2X more contact with the GPU chip, helping to improve thermal transfer. As heat passes into the heatsink, three powerful Wing-blade fans spin up when GPU temperatures exceed 55°C. Wing-blade fans are a patented design that offer 105% more static pressure than traditional axial designs, ensuring air is dispersed through the entire cooling array. The fan internals are also sealed to IP5X standards so that they will keep running, even in dusty environments. Dust-resistant fans aren’t the only technology that makes ROG Strix graphics cards well-known for reliability; Auto-extreme technology is an automated manufacturing process that sets new standards in the industry by allowing all soldering to be completed in a single pass. This reduces thermal strain on components and avoids the use of harsh cleaning chemicals, resulting in less environmental impact, lower manufacturing power consumption, and a more reliable product overall. 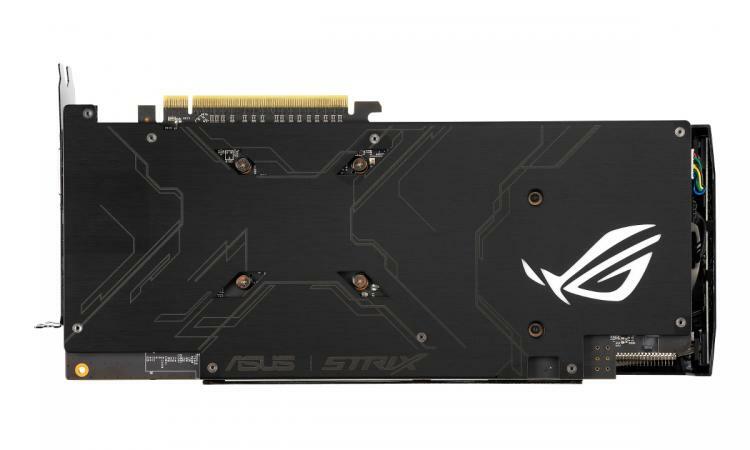 While ROG Strix Radeon RX 590 is cool and reliable, it’s also powerful. A seven-phase voltage regulator that combines premium chokes, solid polymer capacitors, and high-current power stages, provides generous reserves to fuel AMD’s latest GPU. With all the fundamentals out of the way, it’s time to tackle style. ROG Strix RX 590 is topped with a sleek shroud that blends with just about any system. For enthusiasts who want to draw attention to their rig, Aura Sync RGB lighting on the shroud and backplate allows illumination to be synchronised to the beat of music, change colors based on processor temperatures, or cast an array of patterns. Best of all, Aura Sync software connects to a host of compatible products from ASUS and other companies so users can easily coordinate lighting effects throughout their entire system.